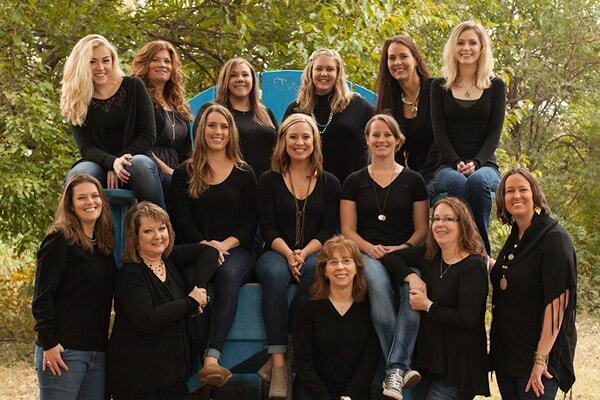 From family to cosmetic to comprehensive dentistry, our dentists in Wichita, KS do it all. How Can I Improve My Teeth's Whiteness? A gorgeous smile showing clean, white teeth can provide an enormous boost to your self-confidence. The majority of people experience some discoloration of teeth over the years, usually from a surface stain or extrinsic stains or internal ones. Manage stains caused by coffee, wine, tobacco and pigmented foods with at-home whitening or have a professional, in-office whitening treatment done at each checkup. For natural discoloration, consider composite dental bonding or the application of porcelain veneers to the affected teeth, which provides a much more lasting solution. How Often Should I Schedule a Dental Checkup? Overall Oral health varies from person to person, but the American Dental Association recommends that grown-up patients go the dentist once or twice a year even if their mouth is in excellent condition. This allows you to get your teeth cleaned professionally on a regular basis and assure that any potential problems are recognized early. What Are the Safest Ways to Practice Good Oral Hygiene at Home? Utilizing goods that contain fluoride. Limiting snacks that are unusually high in sugar. Eating a well-balanced diet of fruits and vegetables. Avoiding tobacco in all forms. Why Should I Have X-Rays Taken? Your Wichita dentists take a full set of digital dental X-rays early in your doctor-patient relationship. This helps to monitor and record your mouth’s hidden areas for problems that need comparing against fluctuations that transpire between appointments. Most adults have bitewing X-rays each year and a full mouth series every four to five years. Those with a greater risk for dental problems may require them every six to 18 months. How Can I Prevent Tooth Decay, Gingivitis, and Other Dental Problems? The safest way to assure a healthy mouth is to follow a balanced diet and visit your dentist regularly – while maintaining your oral care routine twice a day. Medical conditions like diabetes or HIV/AIDS can also influence your dental health; same goes for medications and particular types of chemotherapy. Protect yourself against problems that can develop suddenly by discussing these dental questions with your dentist. What Is Tooth Sensitivity? Why Do I Have It? Your dentist will check the affected teeth and recommend a treatment to decrease your sensitivity. Implants are the perfect way to restore a missing tooth or a set of weakened teeth. Most adult patients are suitable candidates for dental implants because they can serve to prevent the surviving teeth from shifting or loosening as a result. Dental implants are durable and act as an excellent alternative to dentures for anybody with an otherwise healthy mouth and jaw. Cosmetic mouthwashes like Colgate® Total® Lasting White are intended to freshen breath and maintain a healthy color, but they contain fluoride which helps fight cavities as well. These rinses can also treat ailments like gingivitis, tooth sensitivity and inflammation caused by chemotherapy. For more advanced circumstances, prescription mouthwashes often contain chlorhexidine gluconate to kill the bacteria that causes bleeding, inflammation and the formation of plaque on your teeth. Recent studies show that children can develop their first cavities at just two years of age, so the American Academy of Pediatric Dentistry advises scheduling the first visit once their first tooth erupts – or, at the very latest, their first birthday. This helps your dentist uncover potential problems that can impair your child’s overall health and well-being as more teeth come in over time.